Very pretty pattern. I would definitely recommend them to a friend. 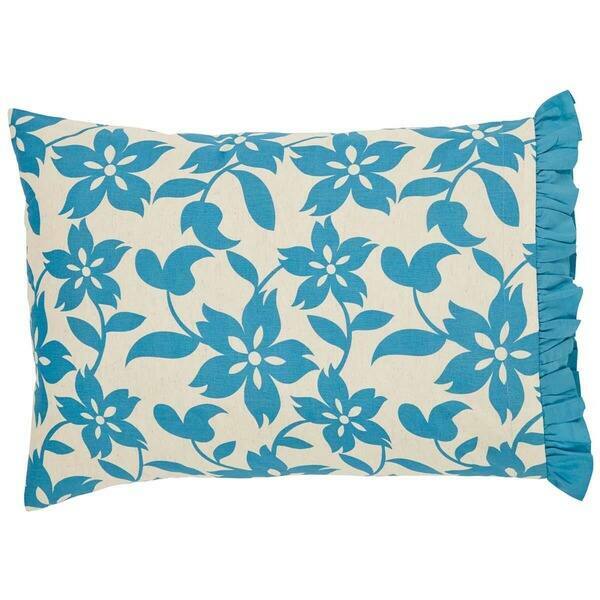 With a marzipan base, beautiful vine-print design, and blue topaz cotton voile ruffle, the Briar Azure cotton flax pillow case set is the perfect complement to your bedding ensemble. These pillow case pairs arrived promptly and are just as described & pictured. They are attractive & well made. I am very pleased with them & plan to purchase more! Wow, these are so pretty. I had a duvet cover in this blue, and these match perfectly. They fit my big fat down pillows too. Love them.